This entry was posted in Uncategorized and tagged arborg, Canada, emigration, ethnic, gimli, Havamal, heritage, Icelandic, Lundar, manitoba, multi-culturalism, new iceland, Riverton, sagas by william. Bookmark the permalink. You mention a great aunt Stina who visited Iceland. I also have a great aunt Stina (Kristín Swanson, wife of JJ Swanson) who visited Iceland. Probably just a coincidence that she is the same Stina. HI Catherine, Stina was Kristine Johnson (nee Valgardson) married to Mindy Johnson, a barber in Winnipeg. She was the member of our family with business sense and, therefore, could afford to go to Iceland for a holiday. This was a long time ago. Probably in the 1960’s. I have even less of a reason to love Iceland–no Icelandic name, no Icelandic town to grow up in. 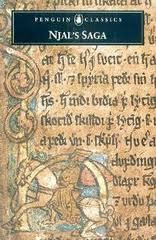 All it took was one reading of Njal’s Saga and I’ve been writing about Icelandic sagas ever since. That “dream of a golden age” is intoxicating.